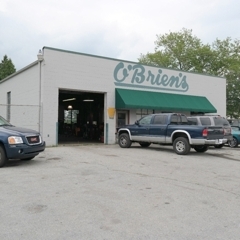 O’Brien’s Automotive Service Shop. We are auctioning off supplies, tools, lifts, and service equipment. This is an “absolute auction” and everything will be sold to the highest bidders. We will be auctioning off the contents for O’Brien’s Automotive Service due to retirement. 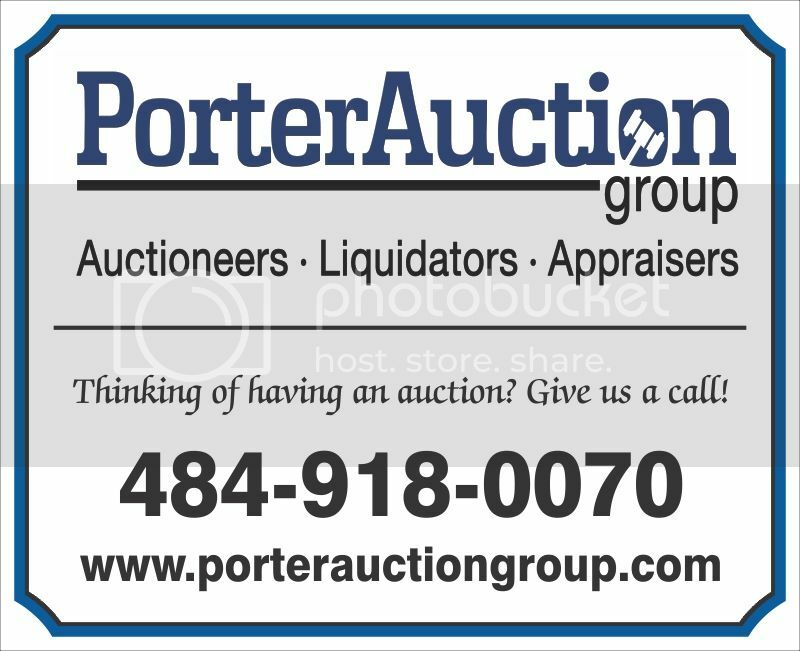 Watch for Porter Auction Group directional street signs the day of auction. Auction preview & bidder registration begins at 7:30 AM. Please come prepared the day of sale to remove items won at auction. Mohawk Auto Vehicle Shop Garage Lifts (2) 7000lbs and (2) 9000lbs capacities , CUDA Engine Transmission Parts Cleaner Washer , Gray Oil Filter Crusher , Cleanburn Clean Burn Waste Oil Furnace Shop Heater, Snap On Tools , Snap On Puller , Mac Sockets , Air Pig , Viper GT Air Conditioner A/C Reclaimer , Oil Pneumatic Air Changing Pans , MAC Impact Gun , Stainless Steel Table , Spark Plugs , Antique Antiques Vintage Oil Cans , Cash Register , Alignment Turnables , 8000lbs Vehicle Lift , Hose Clamps , Manual Tire Balancer , Gear Puller , Air Conditioner Leak Detector , Vises , Steel Tables , Hollstein Tire Changer Machine , SUN Engine Analyzer , New Ball Wheel Bearings , Pneumatic Air Gasket Scrapper , OTC Perception Meter , Syntech Headlight Headlamp Aimer , Maxidas , Wilton Vise , Fiberglass Ladder , Gum Ball Dispenser , Transmission Jack , Distributor Wrenches , Torque Wrench , Jack Stands , OTC Genisys Scanner , Leak Master Evaporative Emissions , Sootmaster , Mac Dial Gauge , Bear Wheel Spinner , RTI Coolant Exchanger , SUN MotorVac Carbon Clean , Autelus AutoLink , Coats Tire Wheel Balancer , Wheel Lead Weights , Impact Gun , First Aid Kit , Time Clock , Chilton Books , Branick Strut Compressor , Ball Joint Tool , Clayton Brake Washer , Matco Tools , Fluke Automotive Meter , Impact Swivel Sockets , De-Icer , Gear Wrenches , Dell Computer , Battery Charger , Rivett Gun , Car Jack , Bolt Bins , Parts Bins , Vehicle Exhaust Vacuum , Heaters , Copper , Stainless Steel Wash Sink , ESP Dyno , Rubber Hose , Engine Motor Stand , Oxygen Oxy Acetylene Tanks Cart and Cutting Torch , ESP System 1 Fuel Cap Tester , Grease Gun , Mac Tool Box Chest , Hydraulic H-Press Press , Hunter Alignment Machine , Whitaker Bin Cabinets , Air Compressor , Jeeper Creeper , R-134A 134A Refrigerant , Fire Extinguishers , Cresetter Launch , Drum Hub Wheel Slide Puller , Ingersoll Rand Air Tools , Snap On MT-2500 Scanner , CUDA parts washer , Snap On MIG Stitch Welder , Huth Exhaust Pipe Bender , Coats Tire Balancer , ESP System I , Hollstein Tire Changer Machine , Lineotronice Alignment Rack , MotorVac Carbon Clean , Branick MacPherson Spring Compressor MST-580 , Stands , Repair Manuals , Supplies & Much More! PLEASE NOTE PREVIEW DAYS ARE FRIDAY JULY 18th FROM 10AM to 2PM AND ON SATURDAY JULY 19TH AT 7:30AM (DAY OF SALE). A VALID DRIVER’S LICENSE IS REQUIRED FOR BIDDER REGISTRATION. CASH, GOOD PENNSYLVANIA CHECK w/ PROPER ID, AND CREDIT CARDS. IF PAYING BY CREDIT CARD, WITH PROPER ID, THERE IS A 3% CC PROCESSING FEE. AT THE REQUEST OF THE SELLER, OUT-OF-STATE (NON-PENNSYLVANIA) CHECKS WILL “NOT” BE ACCEPTED. CASH AND CREDIT CARD PAYMENTS ARE THE ONLY FORM OF PAYMENTS THAT WILL BE ACCEPTED FROM OUT-OF-STATE BIDDERS. 10% BUYER’S PREMIUM. ALL ITEMS ARE BEING SOLD-AS-IS, WHERE-IS, WITHOUT WARRANTY & IN THEIR PRESENT CONDITION. ALL ITEMS MUST BE PAID FOR IN FULL ON THE DAY OF SALE. COME PREPARED TO LOAD YOUR ITEMS THE DAY OF THE SALE; BRING A FRIEND ALONG TO THE AUCTION. ALL ITEMS “MUST” BE REMOVED BY TUESDAY JULY 22ND BY 4:00 PM. WE WILL HAVE A FORKLIFT AT THE AUCTION TO HELP LOAD HEAVY ITEMS (WHERE POSSIBLE) SUCH AS THE LIFTS OR GETTING DOWN THE WASTE OIL FURNACE HEATER. PREVIEW DAY IS FRIDAY JULY 18th 10AM to 2PM and also on JULY 19th 7:30 AM (DAY OF SALE). PAYMENT: CASH OR GOOD PENNSYLVANIA CHECK w/ PROPER ID. 10% BUYER’S PREMIUM. IF PAYING BY CREDIT CARD, WITH PROPER ID, THERE IS A 3% CREDIT CARD PROCESSING FEE. FOR OUT-OF-STATE BIDDERS CASH AND CREDIT CARDS WILL BE THE ONLY FORM OF PAYMENT ACCEPTED ON OUT-OF-STATE BIDDERS; “NO” OUT-OF-STATE CHECKS WILL ACCEPTED AT THIS SALE . ALL ITEMS ARE BEING SOLD-AS-IS, WHERE-IS, WITHOUT WARRANTY & IN THEIR PRESENT CONDITION. ALL ITEMS MUST BE PAID FOR IN FULL ON THE DAY OF THE SALE. REMOVAL: JULY 19TH THROUGH JULY 22ND. ALL ITEMS “MUST” BE REMOVED BY JULY 22, 2014 BY 4:00PM UNLESS FURTHER ARRANGEMENTS HAVE BEEN MADE WITH THE O’BRIENS AUTO. 219 South Bolmar Street, West Chester, PA 19382. RT 202 to RT 3 (E. Market St) to S. Bolmar Street. In between E. Barnard St and E. Union Street. On the corner of S. Bolmar St and E. Union St.